In February 2016, the government issued a consultation paper on their proposals to increase the fee payable to HM Courts and Tribunals Service on the application to the Probate Registry for a Grant of Probate. A Grant of Probate gives an Executor or personal representative in a deceased’s estate evidence of their authority (which derives from the will or by the statutory trusts in an intestacy) to collect in the assets of an estate. 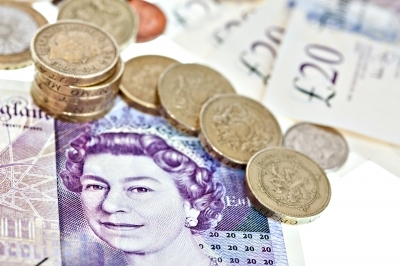 It is not always necessary to obtain a Grant of Probate, and the new fee structure proposals take that into account in that approximately 58% of all estates in England and Wales are thought to have estate assets under the new fee threshold of £50,000, and will not incur a fee in an application for a Grant of Probate. To sell or transfer property if it is owned as tenants in common, (rather than the right of survivorship applying – many jointly owned properties are held as tenants in common where each individual owns their own share) or in the deceased’s sole name. The fee payable on an application for a Grant of Probate must be paid up front and funded by the Executor or family if there is no available cash in the estate (for example if the estate mainly comprises of property which needs to be sold). One of the problems with the proposals for higher fees is that in cases there may be a vulnerable surviving spouse living in their home with a value which puts the application fee into a higher bracket, but they are not cash rich. This puts a pressure on the surviving spouse and family at a difficult time to fund a substantial fee which bears no relation to the amount of work involved in producing a Grant of Probate. Another issue is that farms and small businesses which may be asset rich but cash poor will now have to find the funds to pay these fees if the owner dies. These businesses currently have 100% relief from inheritance tax to ensure that they do not have to sell assets and damage the business if the owner dies. However, there is no relief from probate fees and farmers or businesses could find themselves having to sell land and assets to meet the new fees, and they may need to borrow money in the meantime as a Grant of Probate is required in order to sell. There may also be a temptation to avoid the need for a Grant of Probate at all, which may mean that unwise decisions are made with regard to property and assets such as the inappropriate use of trusts, placing assets into joint names or pressure to gift property or assets which may still be needed.